Syria's rebel Free Syrian Army reacted cautiously to reported Israeli air strikes near Damascus, saying country already under daily attacks. Syria's rebel Free Syrian Army reacted cautiously on Sunday to reported Israeli air strikes near Damascus, saying their country was already under attack daily by regime war planes. 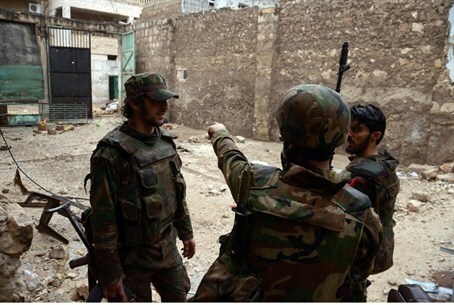 "Of course the Free Syrian Army and any Syrian is bothered that their country is being bombed, but Syria is being bombed every day by (President) Bashar al-Assad, and by Israel," FSA media and political coordinator Louay Muqdad told AFP. He spoke after Syrian state media reported that Israeli rockets struck a military facility outside the capital Damascus overnight, reportedly targeting Iranian missiles destined for Hizbullah. "We wonder why there are so many missiles and military installations around Damascus when they should be close to the ceasefire line with Israel on the Golan Heights," he added. "For us, the operations that we carry out every day are not related to Israeli attacks or anything else, and we will continue to fight until the fall of Assad," he said. Israel has reportedly carried out at least three air strikes on Syrian sites, apparently targeting weapons destined for the Lebanese militant group Hezbollah, which is allied with the Syrian regime.